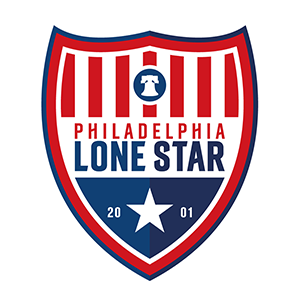 Stars in Pro: Jones Stars in Union’s MLS Debut | Philadelphia Lone Star F.C. Former Junior Lone Star FC academy player Derrick Jones became the first-ever former Star to play in the MLS after his man-of-the-match performance in the Philadelphia Union’s 0-0 draw at Vancouver Whitecaps. The cool and calm Jones completed 90 minutes for the Union as he was instrumental in breaking up the Whitecaps’ attack and at the same time creating chances for his teammates at the other end. It has been truly a success story for Jones so far who joined Junior Lone Star FC after migrating to Philadelphia from Ghana in 2012. Jones, under the tutelage of then JLSFC U19 Head Coach Thomas George, was one of our Academy team key players as he helped the team win its first ever USL Super-20 Mid-Atlantic Conference title in 2013 and a spot at the USL Super-20 Nationals in Florida in July. Later that same year in November, Jones will then go on to star in JLSFC U19s’ 2-1 win against the Philadelphia Union U18s who signed him immediately from Junior Lone Star FC. After successful seasons in the Union Academy ranks, Jones was signed by the Union USL affiliate side Bethlehem Steel in 2016 before signing for the Philadelphia Union later that same year after an impressive season with the Steel. Jones made his debut for the Union in an international friendly match against England’s Crystal Palace last year before making his MLS debut away to Vancouver Whitecaps last night. Jones and the Union will be action again on Saturday, March 11th when they welcome Toronto FC in their home opener at the Talen Energy Stadium in Chester, PA. Kickoff is slated for 4:30 PM. Enter your email address to subscribe to our website and receive notifications of new posts.